After listening to thousands of them, I think it is a “sticky story“. It’s not just a story. It’s one I can easily remember. When you pitch someone, it’s an opportunity to get someone to spread the word about your film to all their friends, right? Yes, but only if they can remember it. Sounds easy? Well, “Made to Stick” by Chip and Dan Heath, says that “too often you are cursed with too much knowledge.” Sometimes you just want to tell everyone everything and figure they will see what you see in your idea. Bringing that wealth of info into a simple sticky story is the key to the perfect pitch. In a “sticky story”, you take all the knowledge you have on your film and transform it into a simple story that is easy to remember. The first rule is to keep it simple, find the core of the idea. You may have volumes of fascinating information, but keep taking things away until you can’t take anything else out or you lose the essence. 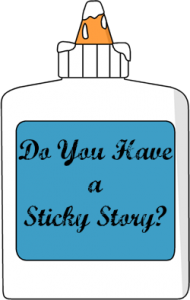 How do you create your “sticky story”? Think of journalists who create lead copy for articles and you get the story in a few words, they prioritize. So can you. You need specific people doing specific things or give them some facts. Concrete ideas are easy for people to remember and they create a foundation. This is what makes people believe your story. This can be a place for truthful core details and please make them as vivid as possible. We need to see your film from the pitch. I say, “touch my heart and I reach for my pocket book.” We communicate through the heart chakra, so touch me with your story. You can do this through one of your characters, let me feel them. When you pitch me your “sticky story,” I want to walk away with your film in my mind forever. Then I can tell my friends that I invested/donated to your film and brag about it. Remember, you have carried this film for several years and your audience is just hearing about it. That’s why brevity and a sticky story are needed to transmit your knowledge. 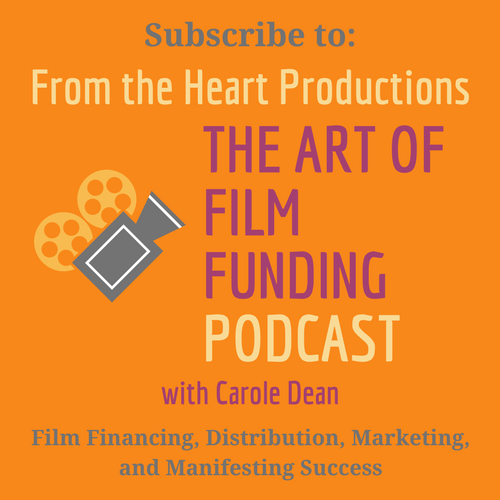 Founder of the Roy W. Dean Film Grant and author of “The Art of Film Funding”, Carole Dean has aided and guided filmmakers to get their projects funded and completed for over 23 years. A new session of her Intentional Filmmaking Class, which teaches filmmakers how to get funding, starts in February 2015.